Qualcomm has announced a new developer kit that will give software makers advance access to features of its Snapdragon processors. The SDKs are only available to developers in preview form at the moment, but the final version should be coming in the following months, using APIs to give them access to the next-gen tech. 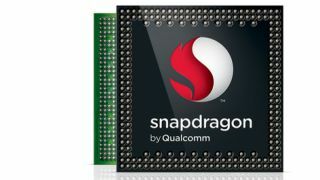 Currently only supporting devices with the high-end Snapdragon S4 8960 processors, Qualcomm hopes to bring it to a range of cheaper chip-types in the future too. Features that devs can make advance use of include camera tricks like facial processing and burst capture. Qualcomm says the APIs are so powerful that it can "see what degree people's eyes are open and what way they're looking". The SDK also hopes to encourage innovation, particularly in user interfaces by making use of sensor gestures and indoor location pinpointing. Liat Ben-Zur, Qualcomm's senior director of software, strategy and business development, explained to TechRadar what the platform will mean in terms of mobile innovation and user experiences. "The whole idea is to help expose the power that sits inside this chip for developers to take advantage of," she said, indicating that this would result in "the next generation of user experiences". The Qualcomm director said that manufacturers are no longer the sole drivers of technological innovation; increasingly, developers are powering the major breakthroughs in mobile computing. "The world has changed and a lot of the innovation is happening on the developers' side," she said. "And those blow-you-away user experiences are what OEM's want to showcase." Ben-Zur also stated that fragmentation in the Android ecosystem remains a sensitive area for the chip giant but iterated that the new SDK "absolutely does not" contribute to any cracks within the platform. "We're adding more capabilities and more APIs - developers can easily check within the code if a device has the capabilities."